In March I got a chance to see a couple of landmark houses in Chicago: H.H. 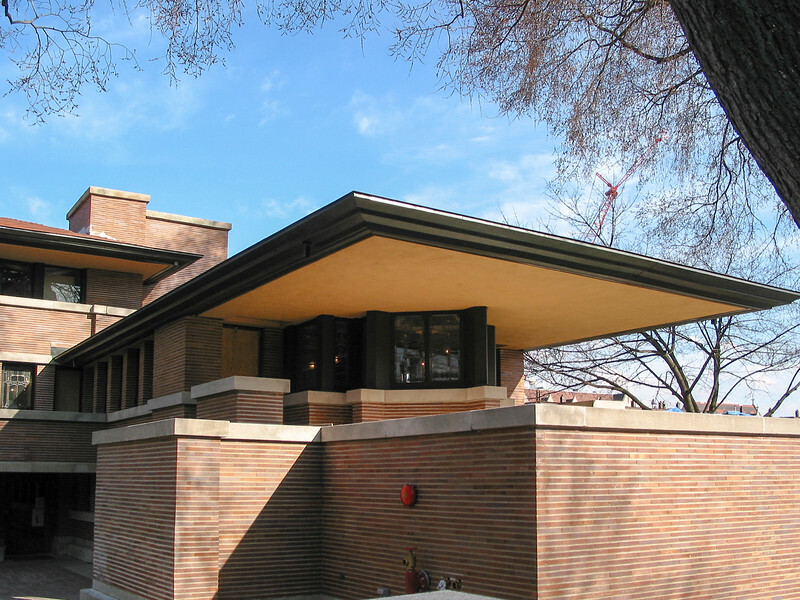 Richardson's Glessner House and Frank Lloyd Wright's Robie House. The Glessner house was completed in 1887, one year after the architect H.H. Richardson died, at the sadly young age of 48. It's certainly imposing, even forbidding, from the outside, but almost post-modern in its strong classically-derived details. The famous "Richardsonian Romanesque" semi-circular arch is here transmuted in a variety of ways to add variety and focal points to the otherwise very rectangular overall effect. The interior is much warmer, informed by the Glessners' appreciation of the English Arts and Crafts and Aesthetic movements. The house was the family's winter home, so there is no landscaping to speak of outside or in the interior courtyard. The Robie house was completed in 1910. Wright himself, in his usual modest way, called it "the cornerstone of modern architecture" (in 1957, when the house was threatened with destruction, and he was 90). Wright was always a great proponent of fitting a house into its site, and this house is the examplar of the Prairie Style, long and low to match the flat landscape. It marks the first residential use of steel beams, enabling the fabulous overhangs that would come into their full glory in his 1935 Fallingwater house.